Photo inset: (Top-left): Guest teacher Lindsey expands the girls’ jewelry-making skills by showing them new materials and techniques. 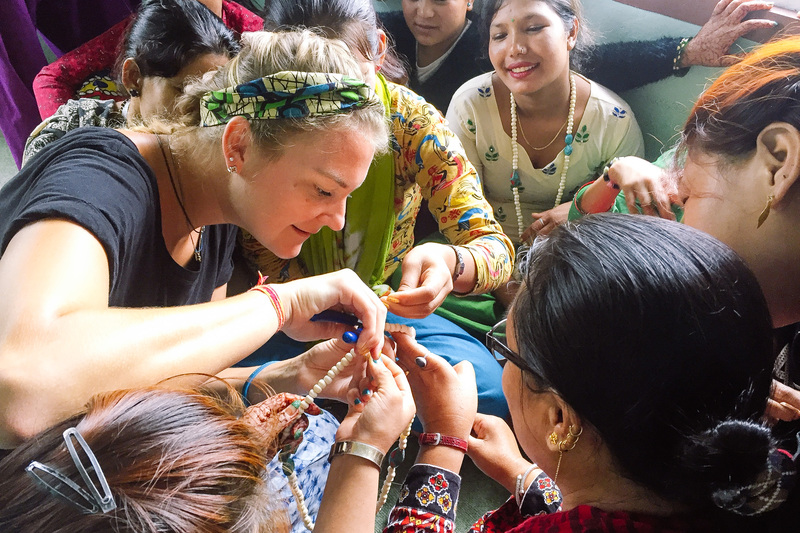 (Top-right): Girls from our She Has Hope rehabilitation home are excited to show off their new jewelry designs. 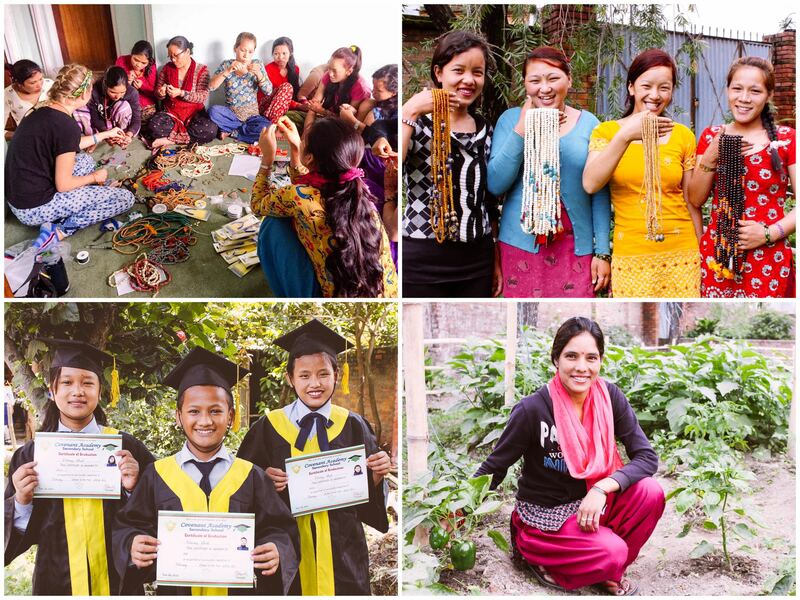 (Bottom-left): Children from our Nepal orphan home proudly hold their 5th grade graduation certificates. (Bottom-right): The girls in the rehabilitation home enjoy seeing how their work in the garden comes to fruition as they tend to and care for the plants.